April has seen spring arrive in Stephanie’s Kitchen Garden at last, although the last few days of the month winter has returned with cold north winds and gales, just a week after the hottest April days on record! 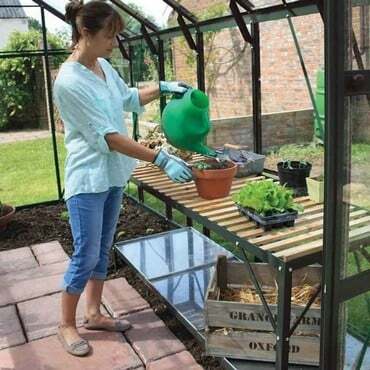 Such fluctuations in conditions can be challenging for us gardeners but with the help of a greenhouse, fleece, cloches and cold frames we have kept our plants and seedlings happy. So far this year we have had plenty of rainfall which, coupled with warming temperatures, has kept plants happy and they are growing fast. Earlier in the month all our beds were given a dressing of fish, blood and bone and we will continue this every six weeks throughout the year. Last year the spring was very dry and we were slaves to the watering can from the very beginning of the growing season. 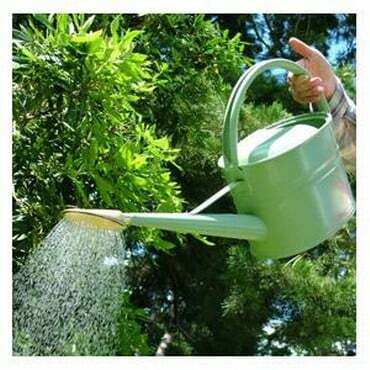 Wet weather may not be as nice for the gardener, but it is perfect for the garden. Rainy weather is the ideal time for applying nemaslug to the soil and we put on our first application of the season in the middle of April when the soil temperatures were warm enough. This will now be repeated every six weeks to keep the slug population well under control and away from our crops. Inside the greenhouse we have now sown all of the summer crops that we like to get started off early under heat. 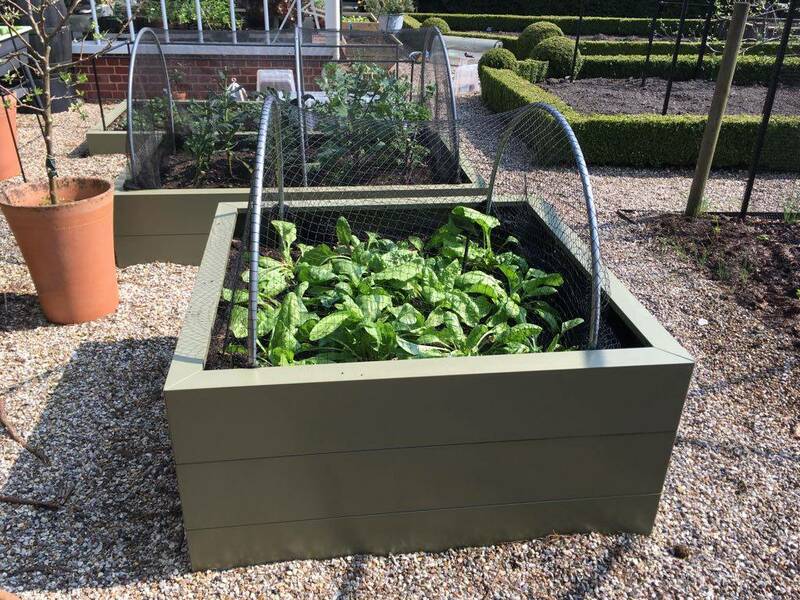 In the past week the last of our sowings including runner and climbing beans, sweetcorn, cucumbers, courgettes and squash have germinated and are now growing fast. In previous years we have sown these earlier, but they outgrow pots so quickly and grow so fast, that we now prefer to hold off until a few weeks before we intend to plant them out. Our tomatoes, aubergines and chillies are now really big plants and are ready to be potted on into their final big pots and into the raised bed on the greenhouse wall. Space in the greenhouse is very tight now, and the cold frame is also bursting at the seams. Hopefully we will be ready to plant out most of our outside crops by the middle of May which will free up a lot of space for larger pots. Rows and rows of green seedlings are lined up along the greenhouse staging, but we have one crop missing this year; peppers. For some reason, our pepper seeds have refused to germinate, and we only have one sad, tiny seedling to show for our efforts. There is no explanation for the failure, but we find ourselves without any plants for one of our favourite crops. No drama though, just time to put our back up plan into action; ordering some mail order organic plants. Despite growing most of our own crops and plants, we often make use of mail order plants and love unpacking the box when they arrive. 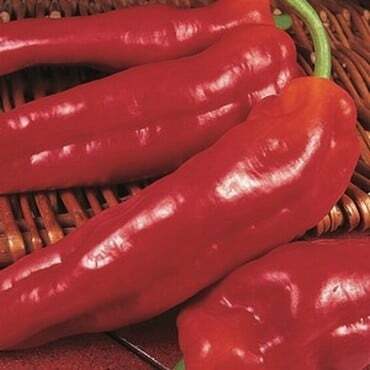 They are great for providing plants that you haven’t had the time or chance to grow, particularly in a year like 2018 when the weather has been against us. Despite the erratic weather of the past few weeks, we have managed to plant out all of our spring crops as we would normally at this time of the year. 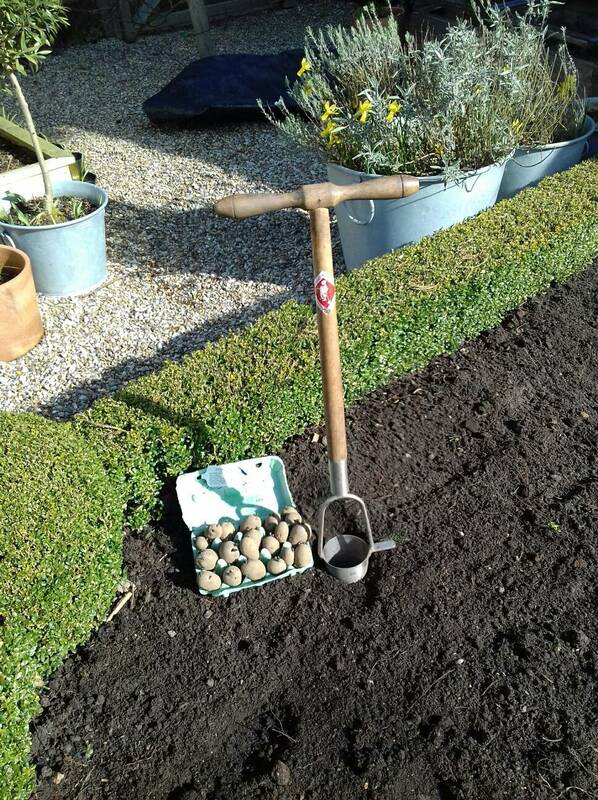 Just after Easter the new potato tubers were planted out and were followed a week or so later by the maincrops. Currently there is no sign of them peeking through the soil yet. Inside the greenhouse, two early potato tubers were potted up in the warmth and these are large plants now promising an early treat while we wait for the outside crop. We also planted out peas at the beginning of the month. Our local pigeon population are very partial to pea plants and have destroyed many crops over the years. We have also had finches tuck in. 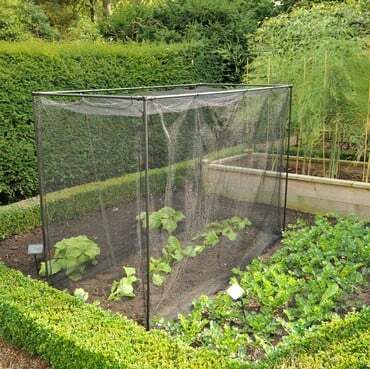 After many experiments we have found that the best results come from surrounding the little plants with a chicken wire fence and draping bird netting over them until they are well established. Once they are about 18 inches tall, the bird netting will be removed but the chicken wire remains. All this talk of peas and new potatoes gave me a timely reminder that it is time to divide and repot our mint plants. They were already showing green shoots and leaves, but benefit from being divided every year to keep them vigorous. We inevitably end up with excess plants from this process which always makes us popular with friends and neighbours! Outside seeds sowings of leeks and parsnips, made back in March, have at last germinated and are now growing well. This month we have sown beetroot, carrots, and spinach outside and these are already up and coming along fast. Most of our plants are started off in modules in the greenhouse and gradually transferred to their growing positioned because we find we have better success this way. We grow all our brassicas in modules and it ensures a better rate of germination and allows us to plant out bigger plants than they would normally be if sown outside, for the time of year. This month we planted out our sprouts, broccoli and cauliflower into our vegetable cage and they are really enjoying the growing conditions. Lettuces, rocket and salads planted out and sown into mangers have thrived under the cover of cloches and we are already picking our homegrown salads. Some of our strawberry plants have also been treated to a cloche cover and are now large plants covered in flowers, ahead of their peers. This will give us an earlier crop and help to extend the fruiting season. They have now been uncovered to allow the bees access to pollinate the flowers. In the next week we will cover the entire crop with birdnetting to make sure our feathered friends don’t enjoy our first fruits before us! This season’s harvest is well under way with large croppings of spinach, kale and salads making their way to the kitchen. 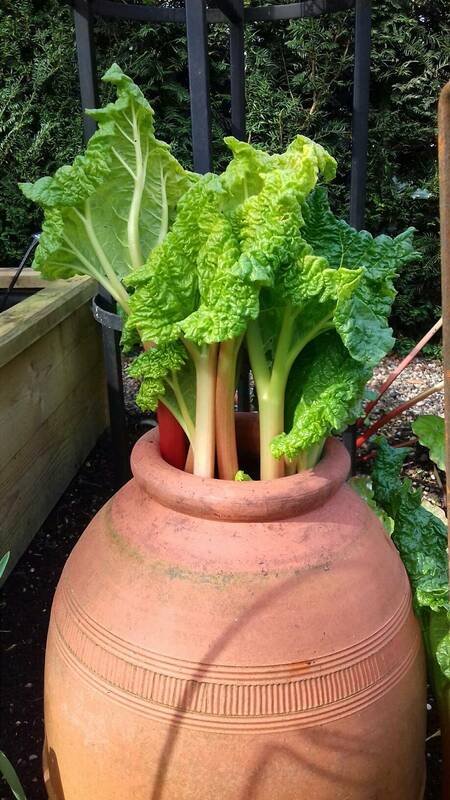 We are also harvesting rhubarb by the trugload and it just keeps on coming. As well as enjoying stewed rhubarb with yoghurt for breakfast every morning, the freezer is filling up with chunks that will provide warming rhubarb crumble come next winter. Pot greenhouse crops on into large pots and place on the staging. Plant out beans, sweetcorn, courgettes, squash, celery and celeriac when risk of frosts has passed.